We can turn your ideas into reality for the eSignal, Sierra Chart, NinjaTrader, ChartIQ, Technician, and TradingView platforms. Have an idea for a trading system? We can create fully backtestable systems, complete with alert generation and realtime signals. For complex, cpu-intensive projects we can implement the core logic in Windows DLL format (32-bit/64-bit) for faster operation. With professional-grade content management tools we can create help systems in the form of online user guides, e-books, PDF, and many more formats. Need an installer for your product? We can create anything you need, complete with EULA confirmation. We have been in the business since 2001 and the majority of our work comes from repeat customers and customer referrals. For over 16 years we have been providing traders and investors with tools that enable them to focus on the goals rather than the tasks. Divergence Software, Inc. has been active in the eSignal community since 2001, developing free as well as commercial indicators and systems for eSignal users. We specialize in eSignal EFS development and have a strong working knowledge of the eSignal product as well as its capabilities. 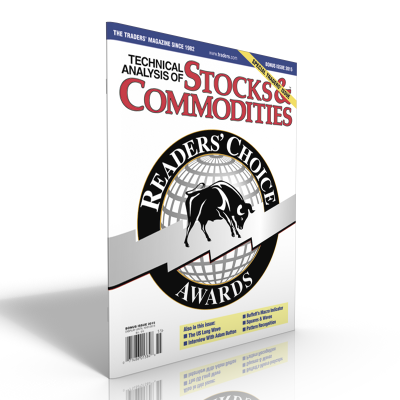 Over the years that we have been in business, we have successfully completed well over a thousand custom programming projects for customers worldwide and we have affiliations with many leaders in the trading and financial education community. In addition to the eSignal platform, we are actively developing projects for the ChartIQ API, the very flexible web/mobile Technician app, the Sierra Chart platform, and for TradingView.com. 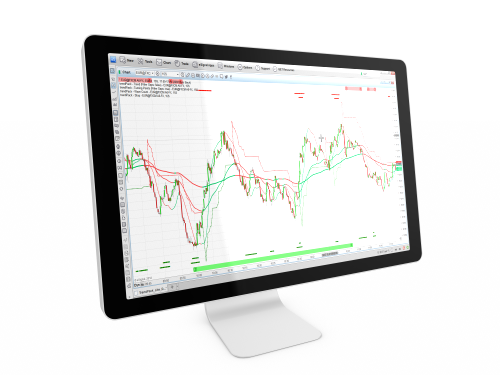 Programming services for MT4/5 and NinjaTrader will be coming soon. We encourage you to browse through our web site and check out our service and product offerings. If you have a specific need that is not met by one of our existing products, please contact us and we will be glad to assist you with the development process. Please join our Mailing List! We will keep you apprised of our latest product offerings as well as any updates regarding platforms that we support for development, and periodically you will receive valuable discount codes that are only available to our list subscribers. New subscribers will receive a one-time 20% discount code that can be used towards any non-subscription item in our catalog! S/R Analyst Pro is our showcase product and has been available, in one form or another, since 2002. It is the gold standard of support/resistance analysis tools. The product has undergone a complete rewrite for 2018 and now includes realtime scanning, alert generation, and much more. 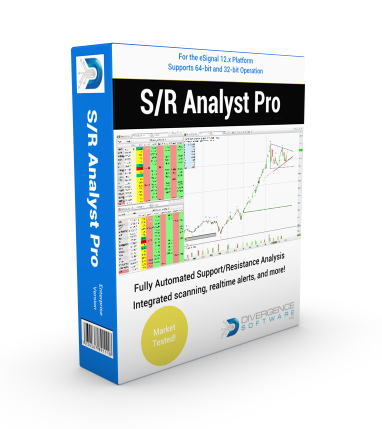 You can find out more about S/R Analyst Pro here. A free 30-day trial is available. We have been actively involved with eSignal since early 2001 and, needless to say, we have a lot of experience with the platform. ChartIQ is a robust HTML5 charting and data visualization API, and Technician (which is based on the ChartIQ API) is their powerful retail online/mobile technical analysis and trading platform. Technician can be accessed from your desktop, notebook, or phone and comes with a large number of built-in technical analysis studies. The data is currently free, so if your focus is on intraday or daily timeframe chart analysis it just can't be beat. Q1 2018: Please note that the Technician product has been acquired by a 3rd party and they are in the process of upgrading and rebranding the platform. For the short term, Technician will not be available for use (i.e., not taking any new subscribers). We are anticipating a release of the new and improved platform some time in Q3 of this year. At that time we will resume our development services for the platform (and all existing Technician products will once again be available). 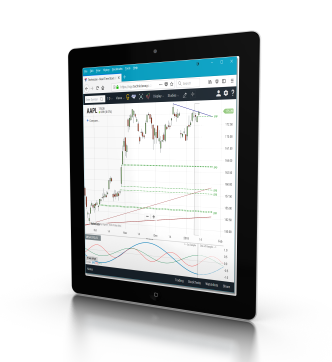 TradingView is an advanced financial visualization platform with the ease of use of a modern website. Whether you are looking at basic price charts or plotting complex spread symbols with overlayed ratios, they have the tools and data you need. Over the years we have developed a number of indicators for the TradingView platform, and we have also converted a number of indicators into PineScript from other platforms. We were introduced to the Sierra Chart platform in early 2018 and we were immediately impressed. Sierra Chart is one of the most stable, well documented, and flexible charting/trading platforms that we have seen to-date, and it comes at a very reasonable price. Available in 32-bit and 64-bit versions. Currently our only product for this platform is our Harmonic Pattern Collection for Sierra Chart, but there will be many more to come. Thank you for your prompt reply, looks complicated but I know you guys know what you are doing. So thanks again for your help, your software is exceptional. Your program is working well. Thank you! I would like to ask that you create another one for me. The updated indicator works great. Once again, thank you for all your help, hard work and professionalism. I really appreciate it. I do appreciate your feedback and honesty about moving forward - and yes, it seems to me that I do have to re-evaluate our project. Thanks Chris, you are the best. That's great, thanks for your help and keep up the good work. Thanks for both. Your attention to detail is great. Thanks for getting me this EFS so quickly. It looks great! That sounds great Chris. Just sent payment link. Can't wait to see it. Great, thanks...have a good weekend. Many thanks for your prompt service. WOW !! That means the new stream version is right and my original could often be wrong. What a find !!! Thanks much. I reviewed the efs files and the EMA slope indicator is perfect! The second indicator and its calculations are in agreement with my tradestation program. Thanks again Chris, I like your work so far brother! Thank you again for considering these ideas. I know you are busy and I appreciate very much that you take time to work with me. Thank you for the charts, it looks like you have a winner. Thanks Chris! I'm really looking forward to this new feature. You have been a huge help. Is there anyway I can give you a call to talk about another project. The SMI indicator is perfect. Thanks for putting that together for me. Thank you Chris! This is excellent! Seemed to work perfectly today and tested all the alerts out, nice work! Thanks Chris, I appreciate everything! Great, just perfect, and sorry again for my not so precise explanation. Hi Chris, thanks for helping me with fixing up this indicator. It is exactly how I wanted it to look. Thanks for your reply. I didn't know I could use watchlist indicators on charts. Cool feature! I give it a try. Thank you for checking and consider the issue as resolved for now. Have a great weekend and best regards. The indicator looks great! Thanks again for putting this together for me. Please bill me so I can send you the balance owed. Once again, thanks for another job well done! Chris, You are amazing... Thanks! ...additionally, I have grown comfortable with your work and integrity, so you are my first choice for any coding. It's doing exactly as I had hoped. Nice work. Yes you understand my request correctly. This is exactly what I am looking for. Thank you for the quick reply! You are light speed :-). Thx! Beautiful work, Christopher! Fabulous! Thank you very much. Thank your for making this change so quickly (and even on a Sunday). I added it to my charts and it looks good. Hey Chris..we probably won't talk until after Christmas..just wanted to say thanks again for all you do for me, and to wish you and your family a great Christmas. Thanks for the wonderfully fast and detailed response. I apologize that i move so much slower. Yep, all looks to be working perfectly thanks. I have just paid the invoice. Thanks Chris, Great job again. You can encrypt it. Hi Chris, Thanks for doing this so quickly. I'll have a play and let you know how I get on. Cheers. Thank you very much for the info about the support/resistance lines. It has helped me understand a lot more about the concepts behind the lines seen. Sorry for the delay, the system is great. I've been actually using the trailing the stop so thanks for putting that in there. Is looking good so far. I may have more projects in the future, so will let you know. Thanks again. I am ABSOLUTELY THRILLED with this study!!! You are truly amazing! Yes it works great [again!} thank you. Thanks for letting me try some of the other tools, the ones I bought already are amazingly good. I have just tried them out. They seem to work as I intended them to work. Thank You. Thanks very much, Chris, that was a real quick turnaround. Just sent off the PayPal. Have a great week, best regards. Thank you very much! This is exactly what I was looking for! Just tried it and tested it, works perfectly. Very well done, I'm really impressed by your work. Not to mention, I also learned quite a bit about EFS while experimenting with it. Once again, thanks for taking your time! Yes it does. All chart types, volume, tick and time! That's it. Great job! Thanks for the detailed response. That helps a LOT. Looks great, exactly what I was looking for. Great job and thanks for having it done so fast. If I ever need any other indicators made I'll make sure to use you. Thanks Chris. VERY interesting looking indicator! You're the master. I'll take it. How do I proceed and pay for it? I am truly grateful, many thanks. When I am doing well I will send you a Christmas present! Have a great vacation. How about we try to get in touch with each other when you get back. I've got a very serious interest in your cycle work. Thanks. Alert works great! Thanks again Chris. Thanks for the script as it really mirrors what I had in mind. Ok, thank you for your help today! Have a great week! Hi Chris, I used the key reversals and the MacdBB yesterday, and...and...and...lol...I think they're great. Thanks so much for making those for me. You guys never quit working. Thanks for being one of the best and most professional internet companies I've ever worked with! Just wanted to thank you for your greatest help and commitment. It is very important for me! Your objective, unprejudiced answer and comment is most appreciated. Thank you. Thanks Chris, exactly what I wanted! Have a great weekend. Thanks for sending that through so quickly. I've had a look at it and it is great. Fantastic work once again. All the best. Thank you so much! Such a fast turnaround! I'll email you with any questions. Thanks very much for all the work. They [indicators] look great. Payment has been made. Thanks again for your tireless patience, in understanding what solutions are best for me. I tested out your latest offering and it addresses all the things I asked you for. Thanks! Had a brief look and it seems that it is exactly what I am looking for. Will test over next few days and get back to you but initially don't see any problems. Thanks. Works perfect, thank you very much. I have a few other ideas that I'll send your way when I get them together. Thank you very-very much for your reply. I really appreciate that you share your thoughts with me. Its a very rare opportunity to talk with somebody who is really an 'insider' in the field of trade related programming and is keen to share his ideas. Again, I'm really thankful for this. Love the cycle pack, works fantastic with the MTF Trendline...hard to believe its only 30 bucks a month. Thanks for your patience and sticking with me until we understood each other!!! Thanks for the reply. Based on the indicator that I got last night, I am going to get your company to do a custom efs for me so that I can get exactly what I want. Relative Price Indicator works a treat - thanks. Payment in full has been submitted through your site. Appreciate your help! Will get back to you next week when my system is up and I have a chance to play with the new indicator. Many thanks. Thanks very much Chris! It's a wonderful program.